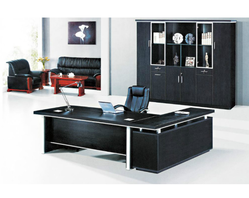 MODULAR WORKSTATION - 3 SEATER PARTITION: Made with 75mm thick modular partition with pinup, white board with electrical raceway. Sq.Ft. TOP : Made with 25mm thick novopan with 2mm pvc edge banded. Size: 3'.6" L Sq.Ft. Keyboard : Made with 18mm thick novopan with .5mm pvc edge banded. Sq.Ft. 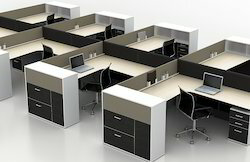 Looking for “Modular Office Furniture”?